Tune in to a special Cider Week Special episode of Beer Sessions Radio as Jimmy Carbone is joined by Ellen Cavalli of Tilted Shed Ciderworks Sonoma, California, Polly Giragosian from Aaron Burr Cidery in Wutsboro, New York Gay Howard & Kay Michaels of United States of Cider. 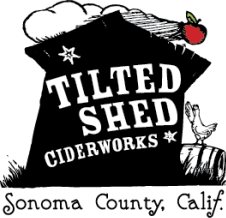 Ellen Cavalli and Scott Heath are the duo behind CA’s Tilted Shed Ciderworks. Polly Giragsoian and Andy Brennan are the team behind NY’s Aaron Burr Cidery. Ellen & Polly talk about East Cost vs. West Coast terroir, and the art and craft of small batch, homestead, orchard-based cider making.